YOUR GUIDE TO A FULFILLING BUSINESS AND PERSONAL FUTURE Based on research by one of the world's largest growth-consulting companies, New Mega Trends identifies the ten most important global trends that will define our future, including business models, smart technology, connectivity and convergence and radical social trends. New Mega Trends will give you the tools to not only identify and evaluate these game-changing trends, but also help you to translate them into market opportunities for your everyday business and personal life. How will we travel to work in the cities of the future? Will Zero be the new big thing? How will we stay connected in the Mega Trends World? Will our Wellness and Well-Being top business agenda? 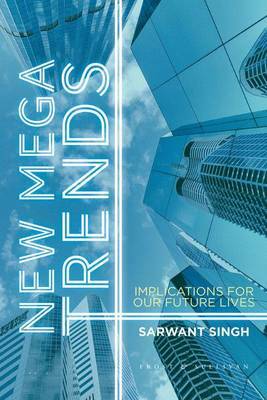 If you are a leader with a corporate vision, or a strategic planner within your organization, or just plain curious about your future, New Mega Trends will provide you with stimulating stories, startling facts and thought-provoking case studies that will not only inform your future but entertain you today.